Representation Matters! 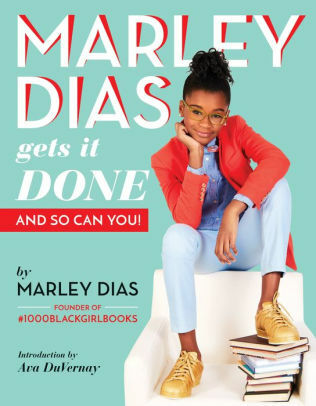 Have you heard about Marley Dias? When she was in 6th grade, she wanted to read more books with black girls as the main character, so she started a champaign and set out to find 1000. “I knew I was frustrated by the lack of diversity in the books I was reading in school, but it wasn’t until my mother asked me about what I wanted to change that the [book drive] idea fully became clear,” said Dias. We love how Marley shows us that kids can have an impact! This library link, above, has a link to the complete list of books, which will only work for you if your Flash player is up to date, which is why I’ve linked to the library site instead. At our house, we’re in a book club that recently read FlyGirl, about a black young woman pilot. It’s by Sherri L. Smith. It’s really good and we recommend it!